The American singer has said no to the offers from the White House for performing at the inauguration ceremony of new U.S President taking place on January 20, 2017. Reports say the singer declined the invitation after she came to know she can't sing her chosen track "Strange Fruit" at Donald Trump's party. Rebecca is a pop singer who rocketed to popularity in 2010 after she was spotted in the X Factor UK as a contestant. She was invited to join Trump for his Inauguration ceremony in the White House on January 20, 2017 and sing a song. However, the singer had conditioned her performance with the permission of singing her chosen song. Rebecca wanted to play 1938 tune from Billie Holiday which symbolizes the real picture of racism in the period of 1930s. The singer has lately issued a press statement in which she explained the reason for why she declined the offers from the Democratic Party's member to play at the ceremony. She said she had turned down to perform at the political occasion as she was informed she couldn't perform at her song of choice. Putting light on the unpleasant situation, Rebecca wrote last week she was thrown into the middle of US political arena as circumstances were going beyond her control about the invitation of performing at the event. She further wrote she wasn't feeling comfortable with the song selection that was made on her behalf. According to Rebecca, she feels herself really blessed to have God's gift that gives her amazing and extraordinary opportunities both as an artist and a mother. However, in this context, she felt it was important to defend her stance, and this is the reason she decided to perform at "Strange Fruit" when she received the invitation to join the Inauguration ceremony. Rebecca requested the authorities to allow her to play "Strange Fruit" as she believes it was the only track that wouldn't compromise her artistic honor. Also that song is the dignity she feels she has as she is someone having lots of love for everyone around the world. Rebecca has a very special sympathy for African-American people and she has no reservations to say that the moment of "black lives matter" is really very important. With that song choice, the singer wanted to create a history in which she could bring a "pause" moment for everyone to reflect. Though the singer avoided stating that the new president's team had declined her request of playing the tune, Rebecca tried her best to hint as much as it was possible for her in the lengthy pledge. Her statement continued to tell her stance on her music as she wrote her skills and music talent is a gift from God and she believes it must be utilized to heal others' wounds in the world and make the surroundings better for living. Rebecca says since she's sure that music is really very powerful, she wanted to help educating the audience about the division and separation that could lead to if nobody corrects it. She just didn't want to cause contention. Rebecca refused to reveal many grey areas concerning the political offers for her to perform as she said she was unable to share that at the moment, but it was sure that she has refused to perform at the event. However, it is not clear who is going to help Donald Trump celebrate his inauguration as the new US president. 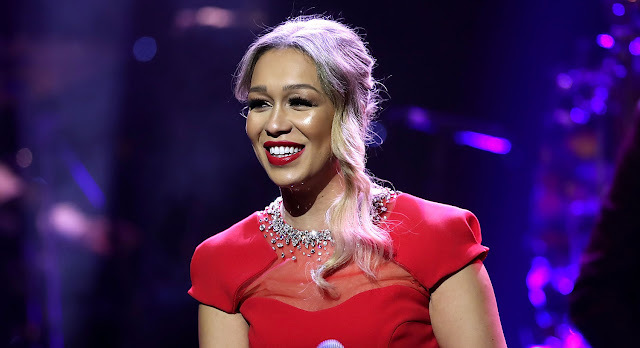 Rebecca Ferguson, Elton Johvn, and Celine Dion have already declined the invitation to play at the event while among the list of singers being invited for Trump's Inauguration ceremony, Jackie Evancho is the only celebrity who is confirmed for the show. Evancho is famous as a former contestant of America's Got Talent and was given a proper invitation to perform for the ceremony. .